Category Archives: How stress affects the body and mind? Posted by itrustallah in How stress affects the body and mind? Stress — An inevitable part of everyone’s life!!! In today’s fast and speedy life, almost all people are affected by lots of things which shape their lives; whether it is social relations, politics, financial status of bank accounts, sports or their own personal health. The stress effects can create wear and tear on the body and cause many stress-related illnesses. Stress has a key role in almost every aspects of human life; stress is not negative all time, it can have positive effect too. What is stress? Can it affect our mind? Does it cause depression and kill off our brain cells? How stress symptoms can affect your thoughts and feelings, your body, and also your behavior? Continue reading……to know about the effects of stress on body and mind. Stress is initially delineated as the disruption of homeostasis through normal, physical or psychological reactions which take place when an environment event intimidates imperative motives and taxes person’s ability to deal with. It is the “fight or flight” response because stress hormones are activated in the body and brain that intended to help people to manage this intimidating situation. Unless suitable stress prevention techniques are taken into consideration, the affected person will not only experience physical pain but he/she also can be at a risk of hazardous mental attacks like alcoholism, depression and others which can prove to be deadly as well. How to cope stress is what’s important in assessing physical and mental state of health. Even imagined change in your life is stress. Excellent change or terrible change both are stress as far as your body is concerned. When you break your leg or find your dream apartment and get ready to go, it is stress. If you will not have sufficient money to pay your rent or if you hear about the promotion at work, it is also stress. So, imagining changes in your life are stressful; anything that causes change in your health or in your daily routine is stressful. 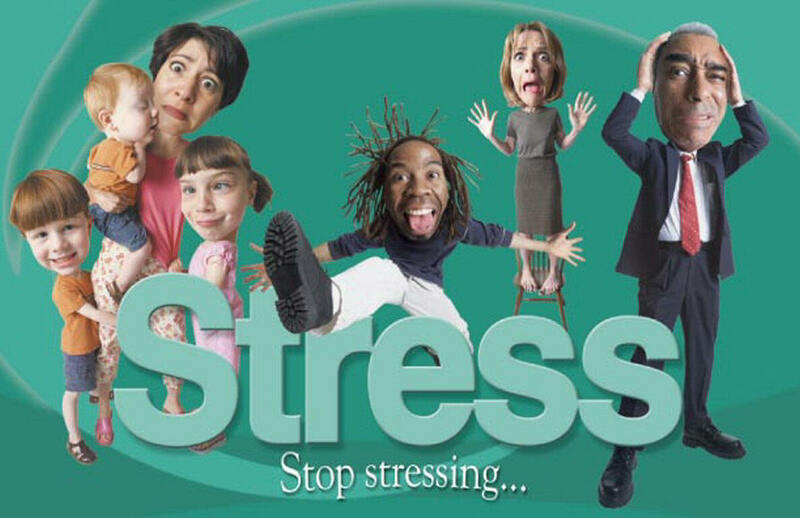 Stress becomes hazardous when it interferes with person’s ability to live a normal life for prolonged period of time. In stress situation, you may feel uncontrollable and don’t know what to do, even if the reason of the stress is quite small. Due to this, symptoms like feeling of fatigue, irritable, or unable to concentrate may be aroused. Stressful situation for an extended period of time may lead to emotional problems that come from abrupt events such as harrowing experiences in past and augment thoughts of suicide. The most common causes of emotional or mental stress are finances, work or profession, relationship or marital problems, deadlines, existing ailment and other psychological or emotional disturbances. Conversely, sedentary lifestyle, poor nutrition, lack of sleep and very tiring activities are foremost roots of physical stress. However, doctors assert that mental stress decreases a person’s vitality and energy more than the physical stress. Mental stresses affect a person both physically and physiologically. Due to human body’s built-in response mechanisms, it can affect physical health of a person. While thinking about an important meeting, you may found yourself sweating or while watching a horror movie, you may felt your heartbeat increased. Certain kinds of hormones trigger these reactions and scientists believe that these hormones have helped our intimates to deal with the suspicions and threats of their world. Generally, the physical effects of stress are short-term if the reason of it is temporary. One study has found that the pressure on students during their exams raises the severity of acne, no matter how they slept or ate. Once the exams are completed, the condition is also diminished. Irregularity and abdominal pain have also been related to situational stress. More serious health issues can occur if the stressful situation remains longer. According to an old proverb, stress “ages” a person sooner than normal. It is proved in a study in which women who had spent years and years in looking after severely sick and disabled children were observed. The study has shown that these women were found to be bodily a decade older than their sequential age because their bodies were no longer capable to entirely rejuvenate blood cells. Overstress can also affect your look as you can’t sleep and look tired throughout the day. When you have pain and aches, you feel and look like unhappy; also you can’t take part in life with your usual smile and glitter. Skin rashes and stomach problems may occur due to stress, which will also affect the look of the person. Immune system of the body gets altered in response to the prolonged reactions to stress. It can even lead to other “aging” conditions like infirmity, cardiovascular disease, functional decline, osteoporosis, type 2 diabetes, inflammatory arthritis, and certain kinds of cancers. Some other studies have also recommended that stress impairs the ability of the brain to obstruct certain toxins and other large, potentially damaging molecules. This situation is common in people who are suffering from Alzheimer’s disease. Sudden emotional stress is associated to severe heart dysfunction. However, scientists are unsure whether chronic stress alone leads to cardiovascular disease or not. It is clear that existing risk factors like high cholesterol levels and hypertension get worsened with the excessive stress. Studies have also shown that a person who gets angry quickly or who shows recurrent hostility – a common behavior under stress – has high risk of crying fits and heart disease. A person’s ability to get well from a serious disease can be complicated by stress. In a Swedish study, it was found that women who have experienced heart attacks at least one time have lesser chances of revival if they are also suffering from wedded stressors. For example – alcohol abuse, disloyalty, and a spouse’s mental or physical sickness. Conversely, stress management training program is a proven method for getting fast recovery after a heart attack. There are certain things that you can do to help yourself if you have suffered stress as a result of anything. Learning to cope with the stress effectively is a valuable effort. Here are some steps that you can take to deal with the stress. Give yourself time to restore to health. Monitor your moods along with your thoughts. Make time for yourself at least 2 or 3 times a week; spend time alone in room, meditate, or exercise. Analyze your schedule; evaluate your priorities and farm out whatever tasks you can. Walk away when you get angry or count 1 to 10 before reacting to any. Set sensible standards for yourself and others. Don’t anticipate perfection.